Can Technology Bring You Closer To Your Customers? 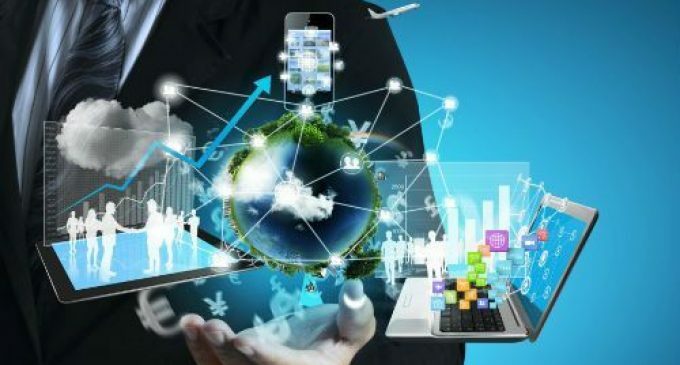 One of the very best things about modern technology in business is that it often greatly extends the reach of many businesses so that they can connect with customers all over the world. Where you were once limited to only being able to connect with customers in your direct vicinity, thanks to the internet, you can now do business with people thousands upon thousands of miles away. But while the internet and technology can connect you with far away customers, are there ways in which they can work to bring you and your customers closer together? In the modern era, people don’t want to deal with faceless companies that they have no real connection with. Because of that, it’s more important than ever for you to really connect and engage with your customers. Here are a few ways that technology can help you do just that. No one could have predicted just how huge social media would become in such a short period of time. For much of its life, people were decrying social media as a fad that people would forget about very quickly. Of course, that didn’t happen. And the reason that it didn’t happen is that the true strength of social media is the way it lets people communicate with each other. So why not use social media to communicate with your customers? Through social networking sites like Facebook and Twitter, you can engage with customers on an individual level that was never before possible. You can help them with problems that they have, tell them about great deals, or simply talk to them in a humorous and engaging way. Some of the best business Twitter accounts are built almost entirely around humorous interactions with customers. Customers want to feel safe, which is something that is rather understandable when you look at just how many risks there are for people surfing the web. Your customers are using your business online then you should do everything in your power to let them know that their information is safe and secure. Check out Jumio’s Netverify service for one of the very best examples of how to do it. The service uses a three part identification process that makes sure that you always know who it is that you’re interacting with. While many businesses tend to focus on protecting themselves, protecting your customers is a great way to let them know that you care. It might sound a little bit odd to suggest that there’s any way that databasing can help to create a strong emotional connection with your customers but it can actually be incredibly effective. Customers like to be treated as individuals, and nothing is more frustrating to them than being treated as though they’re just another face in the crowd. By creating a detailed database of your customers, you can be sure that you have information on them each time they interact with your business. You should include everything from their name to their purchase history. That way you can build the customer service experience that they receive to their specific needs. Not only that but you can use these kinds of databases to know when to contact customers to see how they’re getting on with your product. Simple courtesy calls like that can make a huge difference to how your customers feel about your business. One of the biggest hurdles to get over when trying to connect with your customers is this: customers simply do not care about faceless companies. Of course, this is pretty understandable. After all, why would someone care about a faceless corporation with no real sense of humanity? Of course, you know how much humanity there is behind your business, it’s just a matter of showing that to the customers. One of the very best ways to do this is through a blog. You can offer customers a peek behind the curtain so that they can see all of the unique and interesting people who work every single day to make your business function. People might not care about businesses, but they do care about each other and showing the human stories behind your business is a fantastic way to create a strong emotional connection with your customers. It’s important to remember that, even though you’re using new methods to do it, connecting with your customers and making them feel emotionally engaged with your business is something that people have been doing for hundreds of years. If you ever find yourself wondering how best to use a piece of technology to connect with your customers as individuals, there’s nothing wrong with taking things right back to basics.